For those students who are into the first month's module, working on the 4:30 triangle or hand velocity drill (HVD), here we have a classic example of what we are trying to achieve. The illusions we face, having our eyes above the plane looking down upon it, create a problem for most golfers including myself from time to time. It's always fun to hear the initial feedback and utter shock when a student first gets the video of the HVD. This over head view of Gary Player is priceless really. We don't see a lot of these overhead shots anymore, but I believe it to be the best angle to view the swing from in many ways. We can almost get into the head of the golfer themselves and start to see and feel what they do. Although it is not particularly clear, we can see how open Gary's clubface is. 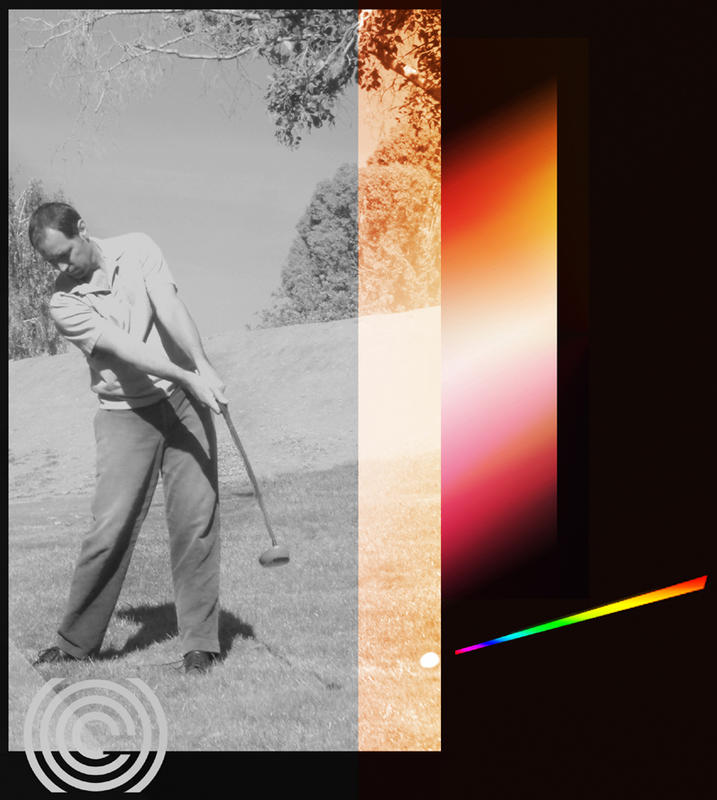 The combination of his very strong forearms, and flat rotation allow him to square the club up at impact without having to rely upon a lot of centrifugal timing. Another great hitter who understood the importance of proper delivery path and one of the finest examples of what you are all working on this month. As you start to feel the need for rotational strength, you'll experience the forearm burn, and other muscles awakening from their hibernation.